It seems like the only time we don't interact with technology is when we go to bed. What if our society actually left technological interaction for entertainment just for night time and tried to minimize interaction during the day. This society uses touch as their means of interface with computers. As the result the technological interactions are always secondary source of attention. On the other as the information comes trough touch you can continue your interaction in your dreams. 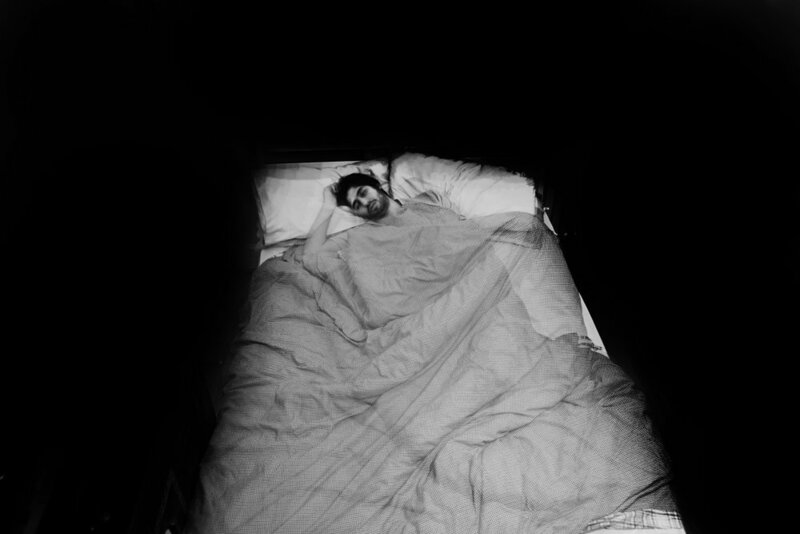 Our senses remain awake when we go to bed. To prevent us from waking up our brain integrates the sensory information coming in to the narrative of our dreams. As the result opening a window of opportunity for interactions that are not possible during the day. Perhaps revisiting people, places and times that are long gone... What would you bring to your dreams? Trying to relate body movement to the information the sleeper is exposed to and possibly understanding the meaning behind patterns of movement found regardless of the abstract time intervals. Studies have shown that forced smile makes you happy. After associating vibrations to emotions, could we then program our state of emotion in our dreams? 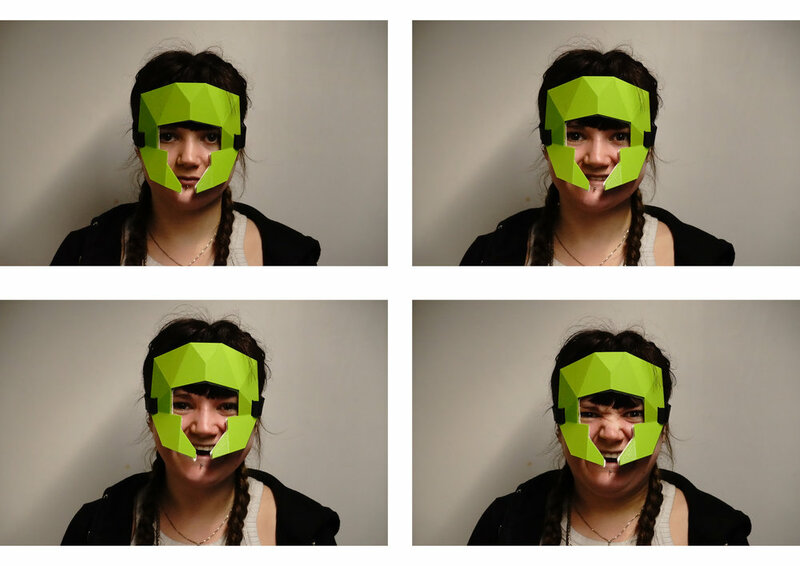 Wearer of the mask receives different sensation according to facial expressions read by a muscle sensor in the mask. Over time beginning to associate each sensation to states of emotion. The pillow is programmed to send the pattern associated with the emotion of interest at the right intervals during the night for you to integrate those states into your dreams. We meet Dr. Tamar Makin, an expert in neuroplasticity. We showed her the mask and shared our ideas. Although she though it is possible, even for a neurologist it seemed ahead of its time. However, first she thought we are using electrical stimulation to force each facial expression, while we were only placing motors in the mask. This is pillow with a ‘Tongue Display Unit’_ an invention made by Paul Bach-y-Rita for his concept of sensory substitution_ can we use the tongue as a platform to bring visual clues into our dreamscapes? Tongue Display Unit was the second iteration of the chair. Here electrons were used to draw shapes on the blind subject's tongue, giving them visual clues about their surrounding. There are more advance versions of this device today, such as Brainport, where the blind person can perceive the visual information detected by a camera through the electrodes vibrating on their tongues. The latest outcome of this project. Its not as cool as Inception, but its real and functional. It is an app called SleepChats programmed by Pete Rogeres and Wilson Da Silva. Using your smartphone, this app can detect when you are in deep sleep. It then opens a short window of opportunity for someone to communicate to your subconscious. 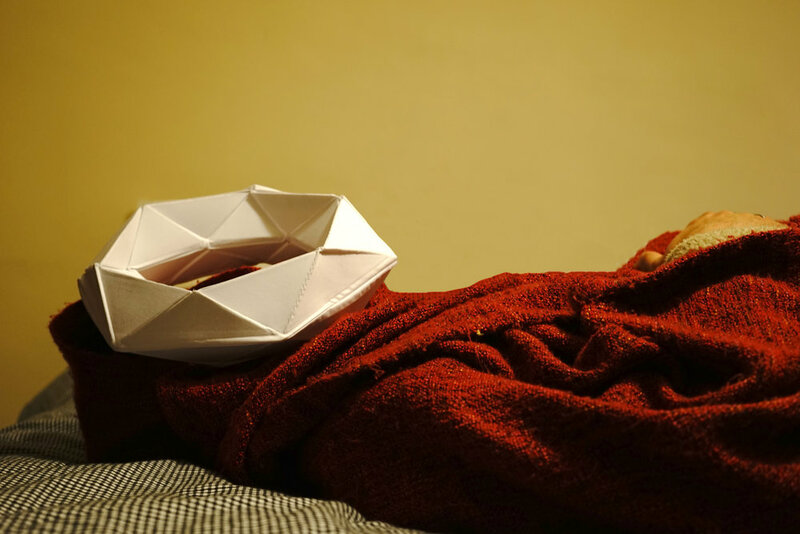 Texts written by people are converted to voice by the phone, and played for the sleeping mind, without waking it up. I wonder who will you trust with your subconscious? Perhaps that resembles the ultimate trust in someone. I’m curious to see what would people use this opportunity for. Would they say things they won’t during the day?